On this page you’ll find answers to the more common questions about JS Medical Billing. 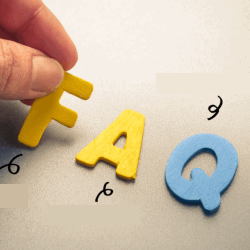 Scroll down to see the answers to some of the more frequently asked questions (FAQ’s). If you can’t find the answer to your question here, feel free to contact us by phone or through the form on the right. What are the benefits of oursourcing my billing? Outsourcing billing is a great way to increase your efficiency and improve your return. By letting JS Medical Billing take complicated issues off your plate, allows you to focus on your patients, not paperwork. We make sure you are paid quickly for all your services. Plus, you’ll have a team of billing experts always on your buisiness. What is involved in the set-up and how quickly can JS Medical Billing start billing for me? We will get to work right away, but there may be a few more steps to take before your account is “ready to bill”. The practice/provider must be properly credentialed and fully enrolled with desired payers. Once these payers process your enrollment form, typically 5-30 days, JS Medical Billing will begin sending electronic claims to them. What is included in the costs of having JS Medical Billing do my billing? You’ll have a professional dedicated succes team to help you with all of your billing needs. Our expert billers will help you tackle administrative tasks, enrollments, credentialing, claims processing, and patient billing to help you collect more. In addition, you will also get a cloud-based software we use for your front office and communications needs, as well as access to two free certified EHR to support your clinical needs. Support, training and software upgrades are all included. Can my billing and patient data be transfered from my existing software to yours? Only certain number of fields can be imported into our software. As long as you are able to export those fileds into Excel or.cvs file format, we take it from there. For a small fee, third party supplier can transfer all of your data. We offer Standard Pricing and Individualized Pricing. Your rate will be determined based on number of factors, including your practice specialty, claims volume, and requirements. There are only a couple optional fees that you may incur. $0.75 for each required electronic patient statement. We also offer an optional discounted Credit Card processing fee of 2.3% plus $0.30 per swipe for all credit card transactions. Do I need to use EHR with your system? No, you are not required to use an EHR for us to do your billing. But we do recommend it. There are a number of advantages to using an integrated EHR. What type of support does this include? As soon as you sign up with JS Medical Billing, you will be assigned your account manager, who will work with you over the life of your account. Plus, we provide EHR and practice management training and support. Can you do coding for me? We do not provide CPT coding services, but based on specialty, we advice on the most suitable for maximum reimbursement. CPT are then identified by a physician for the type of service provided and is submitted via EHR, paper Superbill or hand written documentation. We do however provide ICD-10 and modifier assistance. Can I decide which of my patients go to collections? Yes, it’s your practice, so you make the decisions. You can discuss this and agree on terms with your account manager on your welcome call. What kind of reports will I have access to? You will be able to login and view reports to see how well we are doing at any time. Quickly view updated accounts receivable dashboards, meters showing you how fast you are getting paid, and other easy-to-read performance indicators to see how efficiently we are managing your billing. What if I decide to take my billing back in-house? We hope that you will be a customer for life, but if at some point outsourcing your billing is no longer the best thing for your business, your staff can bring your billing back in-house.